One of the key ambitions we’ve always had for this blog is that it can help educate healthcare professionals about the mHealth opportunity so that we can advance access to high quality documented healthcare. In line with this we’re very proud to announce that we’ve been working with the Healthcare Informatics Society of Ireland (HISI) to produce the world’s first certificated course on mHealth for Healthcare Professionals. 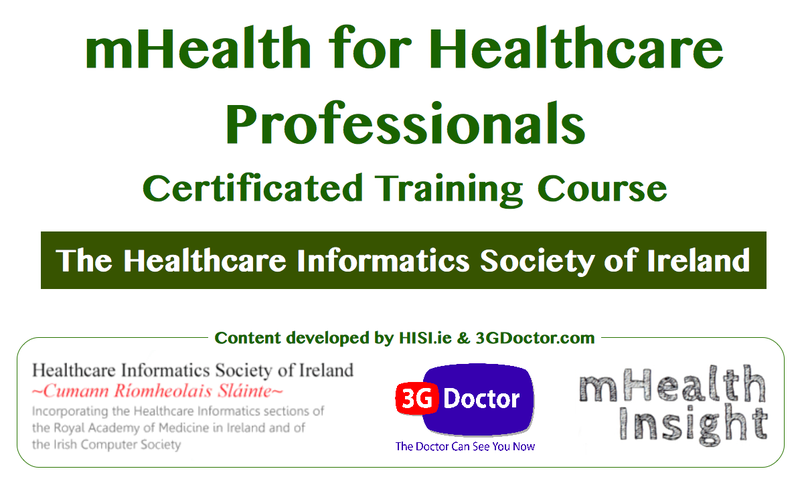 Through the combination of our mHealth subject matter expertise and HISI’s experience training, certifying and registering Healthcare Professionals we’re confident that this accredited course will provide an excellent educational grounding for healthcare professionals and an opportunity for healthcare provider organisations to demonstrate their commitment to ensuring staff are prepared to appreciate and effectively adopt new mHealth technologies. The CPD accredited program and certified course are available to book now and will be launched internationally at EyeforPharma’s colocated 10th Annual Patient Summit and Value Added Services in Pharma Summit being held at the Park Plaza Victoria Hotel in Central London on the 1st October 2013. Click here to register for these meetings (includes attendance at this session) and we also have 30 tickets to give away completely free to Healthcare Professionals who are responsible for the IT training of colleagues (apply here). If you’d like to request a free ticket to attend the launch event that runs from 4-5pm on 1 October (followed by a networking reception), would like to complete this course or would like to enquire about hosting it in your healthcare organisation please click here and complete your information.